This week I share ways to naturally balance and manage the energies of everyday stress. Please print these out for yourself and feel free to share this newsletter with your loved ones, friends and co-workers. Reprogram your stress response with this easy technique: there are 2 neurovascular holding points called the frontal eminences; the bumps on your forehead right above your eyes. We instinctively place our hands on our foreheads with the exclamation: “Oh My Goodness” when we hear bad news, are in shock or highly stressed. Take a moment to recall what you naturally do when you cannot think; you rest your head in your hands. We intuitively do a lot of this already. Place your fingertips on your forehead on these points with your thumbs on your temples next to your eyes, breathing deeply. You will begin to feel pulsing after about 1-5 minutes in both your fingers and thumbs. When you feel this, it means the blood has returned to your forebrain. You will begin to think more clearly and feel more settled. 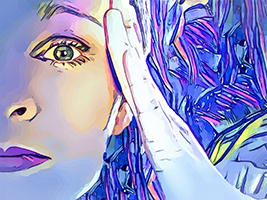 If your mind continues to return to the stressful event, do it each time to reprogram your nervous system. Did you know that 80% of the stress in our bodies is held in the eyes. To help ease the stress, here are a few tips to heal and balance your eyes. we spend a lot of time on our devices with the eyes not moving at all. 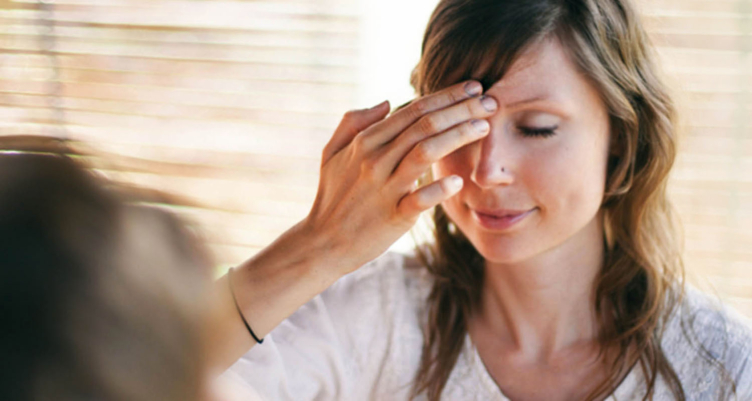 Palm your eyes – place the palms of your hands over the eyes. Try to block out as much light as you can. Close your eyes and let them soften in their sockets. I like to do this lying down with my elbows resting on a pillow. Hold this for as long as you like and often too! Take one of your fingers and trace figure eight’s around your eyes: starting at one corner and moving up and around each eye. Watch your finger as you do so.